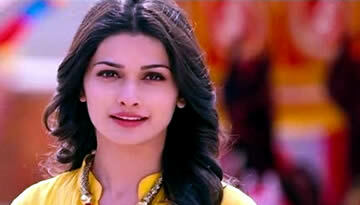 Watch I Me aur Main trailer, movie stars John Abraham, Prachi Desai and Chitrangada Singh in leading roles. I Me aur Main is Bollywood film starring John Abraham, Prachi Desai and Chitrangada Singh and Zarina Wahab. The film is directed by Kapil Sharma who is doing his debut as a director with this film, previously has been Assistant director for the films like Teen Patti, Ghajini, Being Cyrus etc. Goldie Behl is again producing a film which is directed by a new director, He previously produced London Paris New York which was also directed by first time director, Anu Menon. I Me aur Main Story/Plot: John Abraham is playing a charismatic, good-looking music producer Ishaan who stays at her girlfriend's (Chitrangda Singh's) house. Ishaan is a self-centered, Immature, careless man who takes everyone in his life for granted! One day his life falls apart like a house of cards! At this point, his new neighbour Gauri (Prachi Desai) comes into his life and from her he learns the importance of relationships. He starts taking initiatives towards mending and maintaining his past relationships, in this mean time Ishaan begins to fall in love with Gauri. There comes a point when he has to make a choice between his new love and old love.